Whether you are out on the ocean or on the many rivers and lakes around Australia and the world, you want a reliable Marine antenna in emergency situations or to stay connected to the world via your mobile phone. ZCG have a wide range of deck mount and side mount antennas to suit any sized vessel or water-craft, whether it’s a small inflatable rib, medium recreational vessel to a large commercial fishing fleet or cruise liner, ZCG has a suitable marine antenna solution for your needs. ZCG’s range of ‘deck mount’ fold down base antennas are matched in appearance to keep the aesthetics of your vessel. 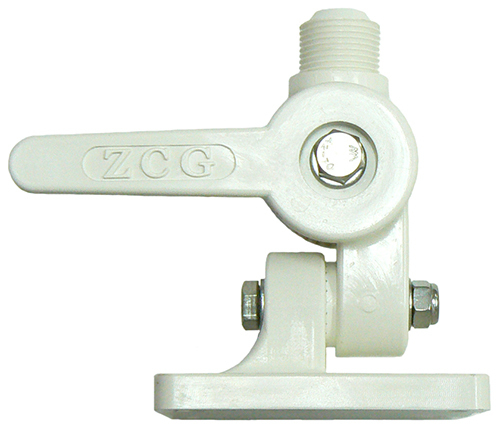 ZCG offer the choice of a robust white nylon dual fold down base or a heavy duty stainless steel dual fold down base for our range of deck mount antennas. 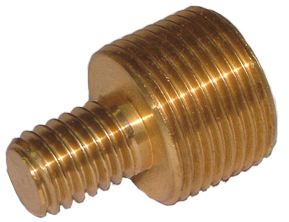 2-30MHz: The 2-30MHz or HF range is used for long distance, long wave communications for either fixed position or vessel mount applications. ZCG’s range of deck mount antennas are best suited for larger vessels or cruise ships. 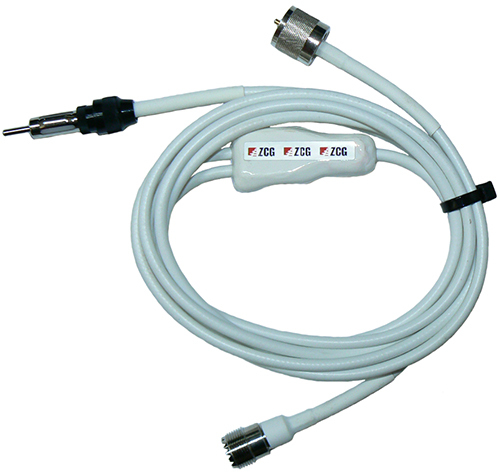 For land based 2-30MHz please see Fixed Position HF Broadband 3-wire. 27MHz: The 27MHz long wave communication range falls under the HF frequency band. ZCG has a range of deck mount, mast mount and ground dependent whips designed for smaller to large water-craft and vessels. For land based 27MHz please see Fixed Position 27MHz. AIS: Automatic Identification System is a world-wide marine systems to increase safety on the water, incorporating vessel mount, satellite tracking and internet based technology. AIS was implemented to transmit and record large cargo, commercial and passenger vessels; heading, weight, country of origin, docking port and other vital information to all vessels in the area or online to improve safety while on the water. There are 2 classes of AIS; AIS Class A for vessels over 300 gross Ton for international haulage or passenger vessels of any size which require an AIS system, and AIS Class B for domestic commercial vessels or pleasure craft. The above is current information from the Australian Maritime Department. Please consult your local maritime department for laws and regulations specific to your area. AM/FM Radio Receive: AM and FM Radio Receive for your commercial or recreational vessel will keep you up to date with local weather and news whilst on the water. ZCG also supply structure and mast mount AM and FM radio receive antennas. Mobile Phone: The Telecommunications companies within Australia transmit a limited range of the mobile phone networks into marine environments. ZCG supply a range of antennas to boost your mobile phone reception and wireless data improvement across the Telstra, Optus & Vodafone 4G, 3G & GSM mobile phone networks. Marine UHF: Marine UHF is the same as land base UHF utilising the 400-520MHz range. 477MHz UHF CB Radio is used for general communications. 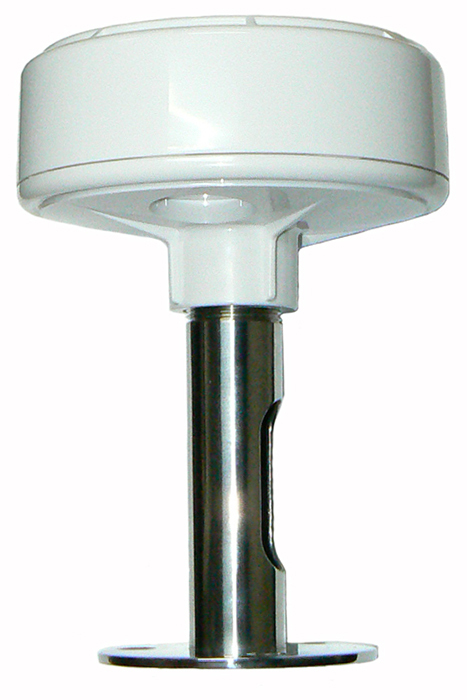 ZCG range of Marine UHF antennas have been specifically designed for the tough maritime environment. UHF communications will not achieve the distant of the lower and larger wave VHF communications. Marine VHF: Marine VHF is the other frequency band allocated for marine communications, utilising the 156-162MHz range, VHF transmit and receive distance is greater than UHF CB Radio due to the longer and larger waves at the VHF frequency. ZCG offer both vessel and structure or land mount antennas. Our team of RF Solutions Consultants are always available to personally assist you in selecting the very best Marine Solution available for your particular application.